Quotations about Afraid Of Being Hurt. Quotes to stimulate mind and drive action! Use the words and quote images to feed your brain inspiring things daily! 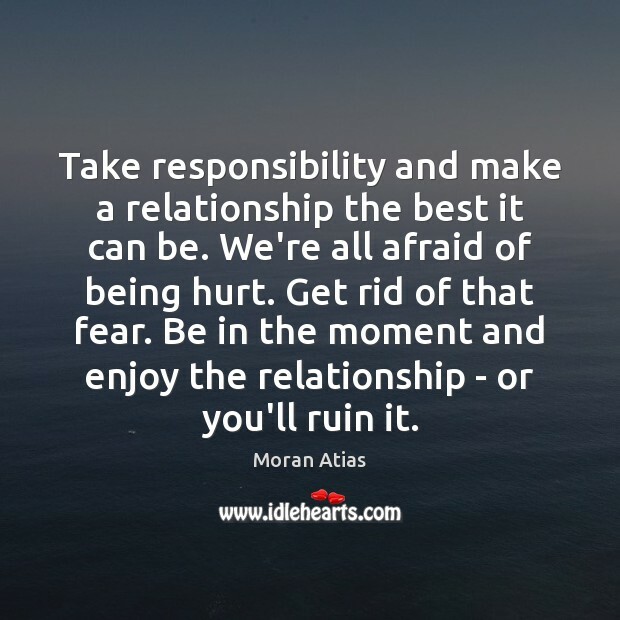 Take responsibility and make a relationship the best it can be. We're all afraid of being hurt. Get rid of that fear. Be in the moment and enjoy the relationship - or you'll ruin it. You're so afraid of being hurt that you attack first. 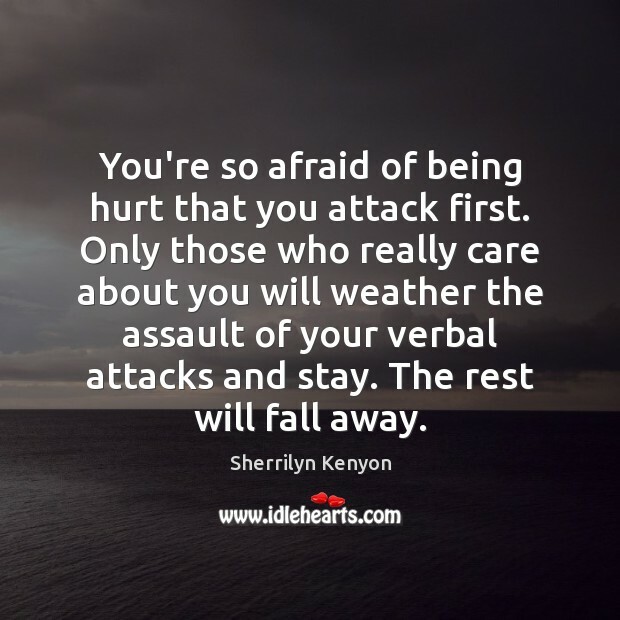 Only those who really care about you will weather the assault of your verbal attacks and stay. The rest will fall away.